94 years ago the second of two armistices that would end the Great War was signed. Remember those who served in that war and every other war. The photo is of a comic I am currently working on, unfortunately it shows the wars end from the German perspective but it gets the job done. 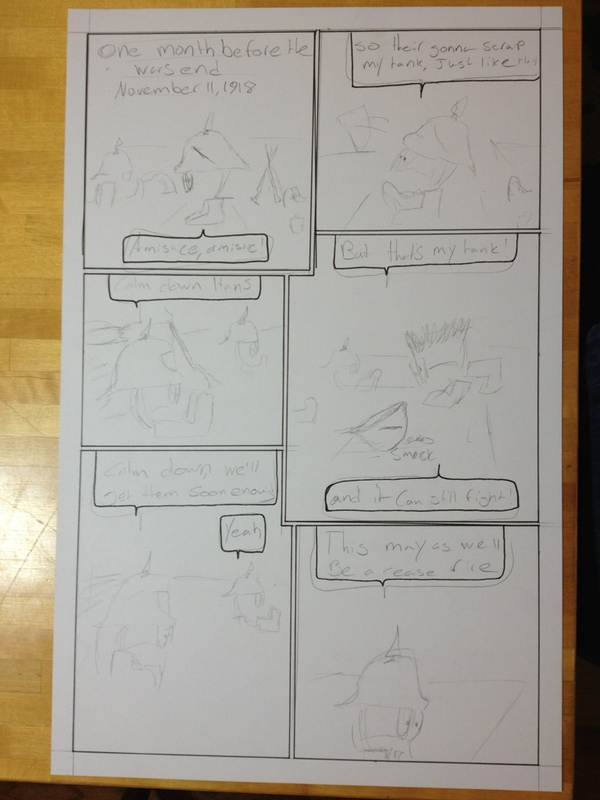 If you are interested the comic will likely be for sale at the alpine Artwalk 2012.